OMA designed three buildings nestled between Miami Beach’s famous Collins Avenue and Indian Creek Drive in Mid-Beach. The project is a significant contribution to the Faena District, a $1.2 billion project covering six blocks and integrating dynamic cultural, residential, hotel, retail, culinary, and public environments. 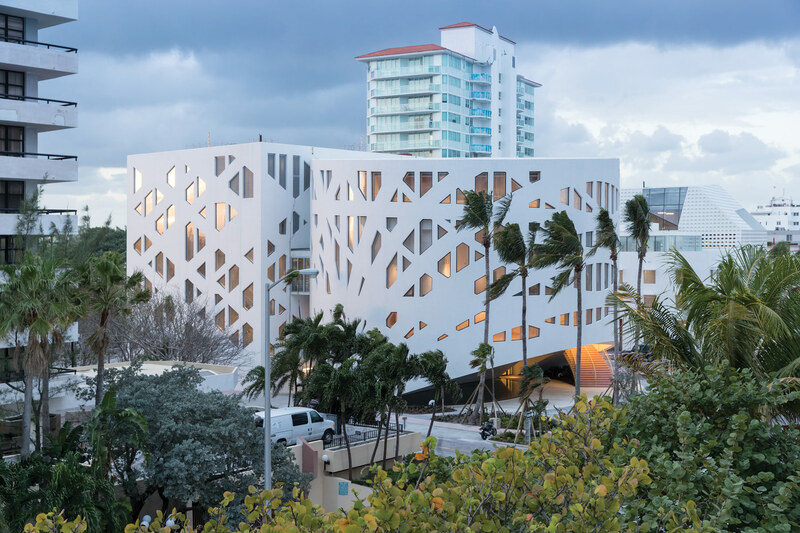 OMA’s structures are all governed by independent programs: the Faena Forum with flexible theater uses, the Bazaar that retrofits a historic hotel with curated retail and event programming, and a state-of-the-art car park. Shohei Shigematsu, partner at OMA and the director of its New York office, led design efforts on the project.